Mariola is originally from Spain. She got her first certification in Mat Pilates in Berlin 2007. She studied Contemporary Dance in the University of Dance UMH in Spain where the program focuses in studying Mind Body techniques, Anatomy, Psychology and eastern martial techniques, among different dance techniques. Since then she has taught yoga, dance, Mat Pilates, Spinning, Barre Classes and Personal Training session. 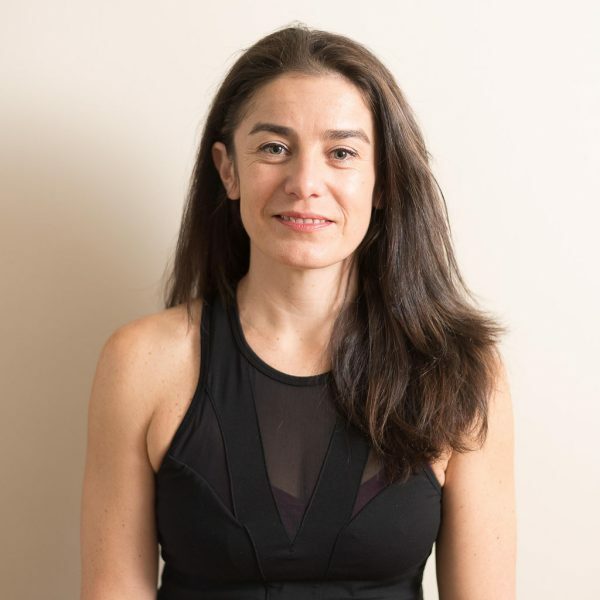 She renewed her full Pilates Certification in NYC at The Lab Fit, directed by Lawson Harris, based on a classical structure Pilates session that focuses on a neutral spine and exercise modifications to achieve better results. She believes in working with a correct alignment to activate inner layers of muscular chains and help mobilize and strengthen the articulations. She is certificated Massage Therapist, Barre Classes, Personal Training, TRX and Spinning. And she has studied Thai Massage, Craniosacral Therapy and Alexander Technique, among other techniques. Mariola joined the staff at The Pilates Movement in January of 2017.